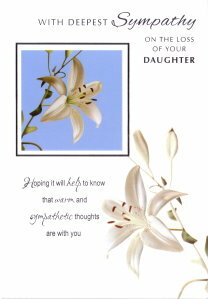 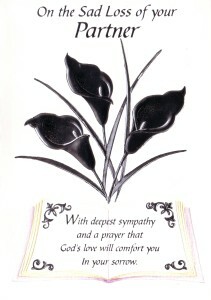 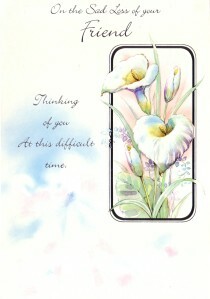 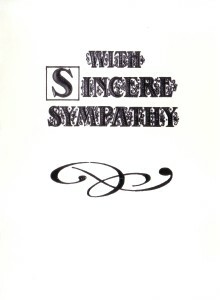 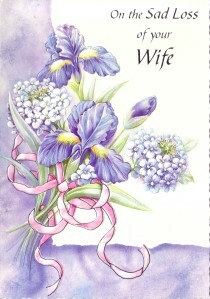 Greeting Inside: Hope this sincere message of Sympathy helps to bring you comfort. Cover Greeting: On the Sad Loss of your Son. 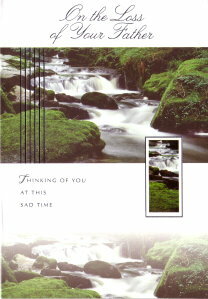 Cover Greeting: On the Sad Loss of your Friend. 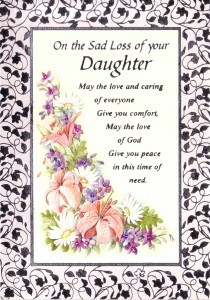 Thinking of you at this difficult time.